We strive for speed and customer satisfaction, without sacrificing quality of our work. Loyalty to our customers by being transparent with our work keeps you informed of exactly what we are doing. Any technical questions are answered by our experienced technicians who can simplify it down to the basics! Maintaining local support for our community is key to our success, without your support, we wouldn't be here! The Computer Loft has a rich history in how it became to be the successful business it is today after 33 years! It all started off with Margaret who had the ingenuity to educate local businesses about using computers to aid them in their daily routine. Later on, the business was handed off to Michael to continue pushing the company to new heights. Here are the excellent people who are dedicated to helping you with your technological needs! Bobbie is in charge of handling all of our accounting and book keeping operations. Any questions regarding payments or billing will be taken care of by her. Michael is the owner and head technician. He currently handles most of the onsite service calls for businesses and residential customers. Along with being an expert technician, he is dedicated to ensuring any job is done to customer demands. Dan is our in house technician and designer for our customers projects. 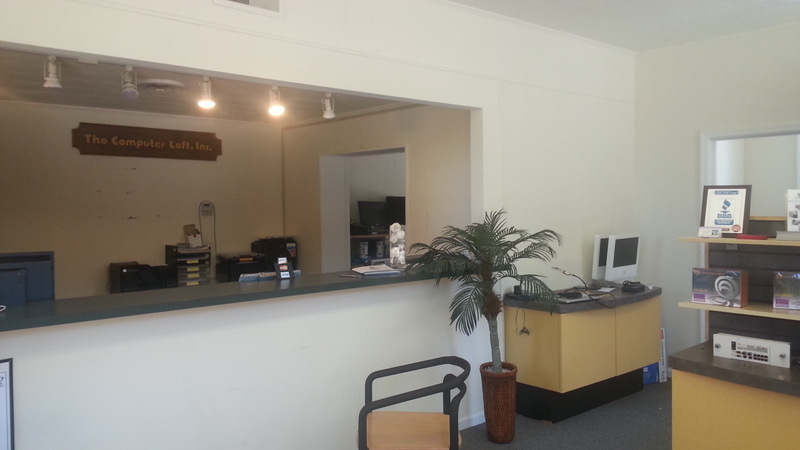 He handles most of the business on the inside including computer repair, phone repair, over the phone and remote technical support. Having technical problems? Need internet service in your area? Would you like your smartphone screen repaired? Want to schedule a service call to your home/business?